This analysis is part of the Al-Shabaka Policy Circle on Leadership and Accountability and is published alongside the contributions made by Dana El-Kurd, Marwa Fatafta, Inès Abdel Razek, Tareq Baconi, and Ali Abdel Wahab – to read their contributions see here. Looking at former and current Palestinian leadership, one can observe a cyclical trajectory in which members of the elite first acquire the legitimacy to lead through a combination of traditional structures and foreign support. The legitimacy of the Grand Mufti of Jerusalem Amin Al-Husseini, for example, was grounded in religious and familial authority and enhanced and institutionalized by the Ottoman Empire and then the British Mandate. Ahmed Shuqeiri’s legitimacy derived from the Arab League as well as his educational status and familial ties, while President Mahmoud Abbas’s legitimacy was founded on factional loyalties within Fatah and then significantly consolidated by the US and Israel. These leaders and the institutions they administer fail to deliver on popular aspirations, leading to stagnation and public dissent. This precipitates an inter-Palestinian power struggle that is often intergenerational and highly destructive. The struggle ends when a national tragedy occurs that either destroys or unites the competing factions. During these historical moments of national chaos, a new generation of leaders rises, mesmerizing the public and accruing revolutionary legitimacy that propels them to the top. Today, this cycle seems blocked. An ossified Palestinian leadership has managed to cling to power for more than two decades. The institutional framework established by the Oslo Accords – a Palestinian Authority (PA) without authority providing inadequate administrative services, low-level employment, and security for Israel – still governs a subset of Palestinians in the Occupied Palestinian Territory. The PA has become a buffer zone between the Palestinians and the Israeli occupation, one that largely favors the occupation. Meanwhile, through heavy foreign assistance, the PA has transformed the socioeconomic landscape of Palestinian society by increasing inequality, widening political divisions, and even attempting to alter the media and educational landscape to weaken all forms of effective struggle against the occupation. These groups’ driving questions are: What do we need to do to have a better life? What is our purpose? How do we achieve it? Having asked these questions, it is not long before they discover that the occupation and the PA as its governing body are obstacles in their path. This generation’s focus on grassroots action and its ability to conceptualize the PA as an impediment to a genuine liberation movement are fundamental to its potential to transform the stagnant Palestinian leadership model. 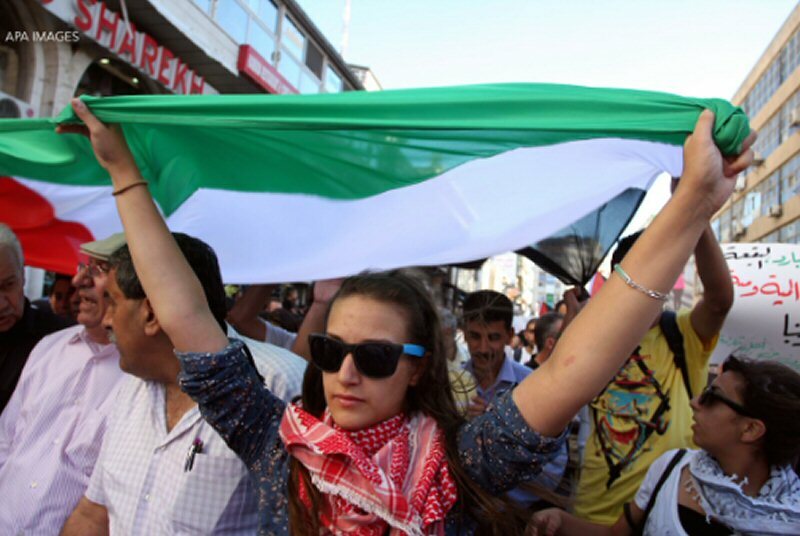 Further, many young people in Palestine are despondent about the status quo. This is clearest in Palestinian universities, which have been transformed from beacons of liberation to factories of disenchantment. Once hotbeds of Palestinian political struggle, the universities today produce young men and women focused on two things: a paying job or an opportunity to emigrate. One university dean I spoke with defined his job as simply training a workforce for the PA economy. Although youth groups are active on campuses, offering glimpses of hope, the Palestinian security forces in the West Bank and Hamas’ forces in Gaza have turned student politics and electioneering into a shadow of what they once were, ensuring that superficial slogans and fear override genuine student organizing and hope. Identifying that moment, however, will be difficult because three stars need to align: a) Reigniting hope: The Palestinian street needs to go from being risk averse to being hopeful that a better future is possible; b) Overcoming the power threshold: The youth must feel they have the human resources and endurance to slog through the obstacles the PA and Israel can put in their way; c) Consolidating to confront the occupation: Given that the PA and its security apparatus are pivotal in maintaining the status quo, and that any more internal Palestinian strife is to be avoided, the youth will have to find a moment when the occupation has committed an act so severe that they can mobilize many of the ranks of the apparatus into the struggle against the occupation and away from internal repression. Of course, Israel and its backers will do their best to make sure these stars do not align, from killing hope to arresting dozens of youth activists. The only way for this moment to arise is for Palestinian civil society and youth activists to build their strength and expand societal self-awareness. These self-aware leaders and their culture of transformative leadership will clash with the socioeconomic environment and political elite established and strengthened by international players and Israel. Such a people’s-based leadership, whether directly or indirectly, will be the target of massive cooptation and, if that fails, assassination. One can argue that Israel’s “mowing the grass” in Gaza and the PA’s assault on student and youth politics are preemptively attempting to destroy rising leaders. While revolutionary phases in Palestinian history failed to achieve liberation, they signal important turning points in the struggle, such as the solidification of anti-colonial discourse after 1936 and the rise of a more independent national movement after Fatah took control of the PLO.